Life can be testing, life can be challenging, we can get so overwhelmed and stressed that we are merely reacting, trying to hold it all together, wondering whether it will ever change or get any easier. You CAN find room to breathe, feel less anxious and calmer, strengthen your resolve, think clearer and turn reaction into action, and step into a beginning of renewal and self belief. 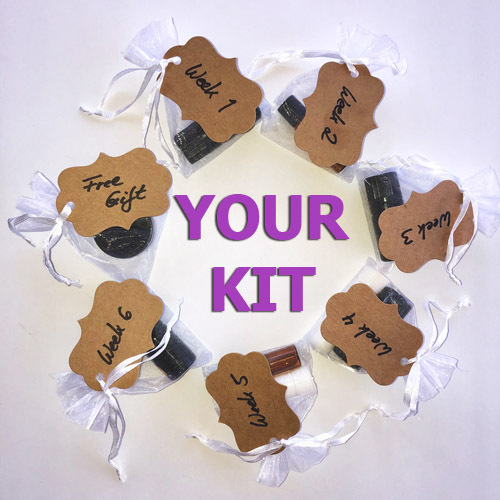 Receive your kit and start with one easy routine per week, creating powerful changes seamlessly over the course of 6 weeks — plus free support hotline for any questions and guidance you may need during the course! 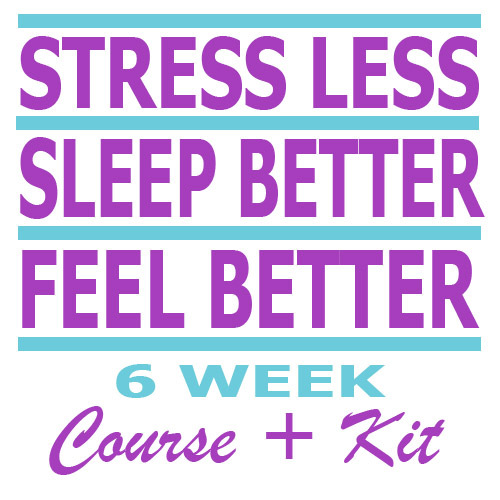 Receive one course email per week with valuable information, tips, and instructions to help you feel less stressed and overwhelmed, less anxious and more grounded, experience more restful sleep and greater energy and motivation during the day – starting you on a path of renewal and self belief. Goal of this course is create hope, inner strength, and a profound experience with easy to follow morning, day time and evening routines, showing even the busiest and stressed person, that powerful changes can happen, that we can soften the waves crushing against us. My personal experience with extremely stressful life experiences drives me to do my best to help others and inspired me to create this course. 2019 The Year of Change, The Year of Possibilities! Special Bonus: Any time during the course, and for unlimited time after the course, when you share about your course experience, and a friend, family member or colleague signs up to experience the same benefits, you’ll receive a $25 check for sharing hope that life can get easier again, for caring and making a difference.